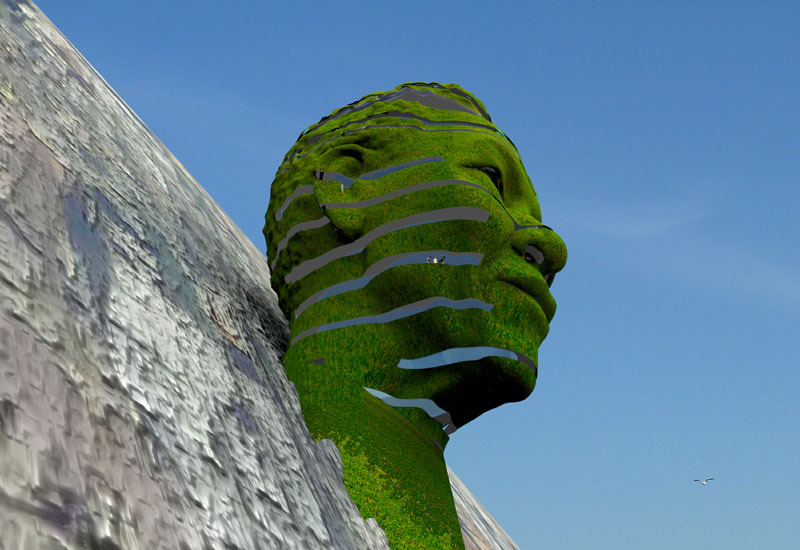 Some dubious characters from Rotterdam have launched a campaign to raise $ 100.000 for their project: a 60 meter Mandela face on Table Mountain. The 12 storey sculpture will be home of a restaurant, conference centre and exhibition area. Megalomania rules, please don’t tell Mandela. They have raised 150 dollars and that should be enough to create a miniature and put it on the Euromast in Rotterdam. Cry my beloved country.